It draws low watts and the light emitting diode average lifetime use is rated for 100,000 hours of use. The aircraft grade aluminum body protects the flashlight from high impacts and unusual wear and tear. 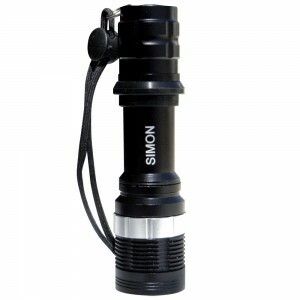 It has 16 adjustable dial focus settings to stream light from a broad fan to a tight beam. 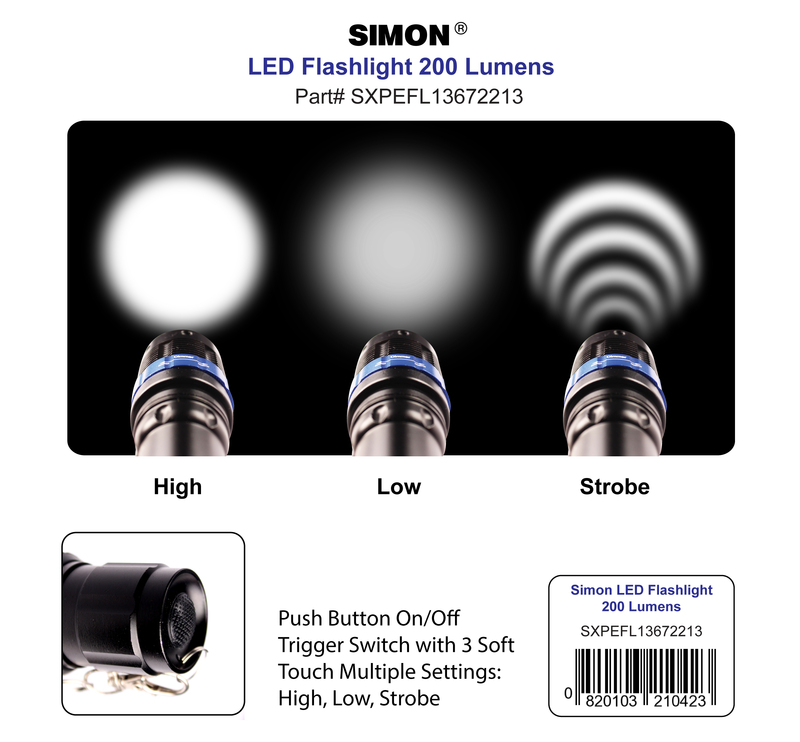 You also can choose from 3 modes: High, Low and Strobe light to use as you see fit for your activity. 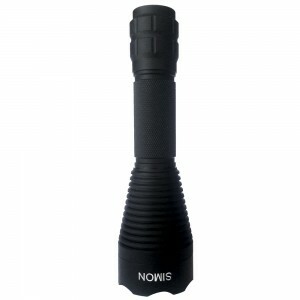 The Cree Flashlight XPE has received many emails from customers bragging about the wide variety of uses that they have utilized this small compact multi-purpose hand held torch lite. 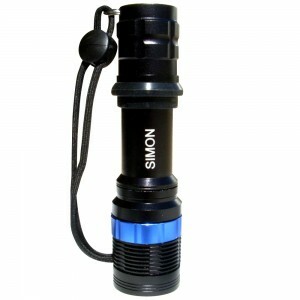 From hikers, backpackers, mountain bikers taking on trips to fishermen and hunters using it for grabbing a meal. It light enough that you know you still have it and heavy enough that you won’t lose it and weighs in around 227 grams and/or 8oz. 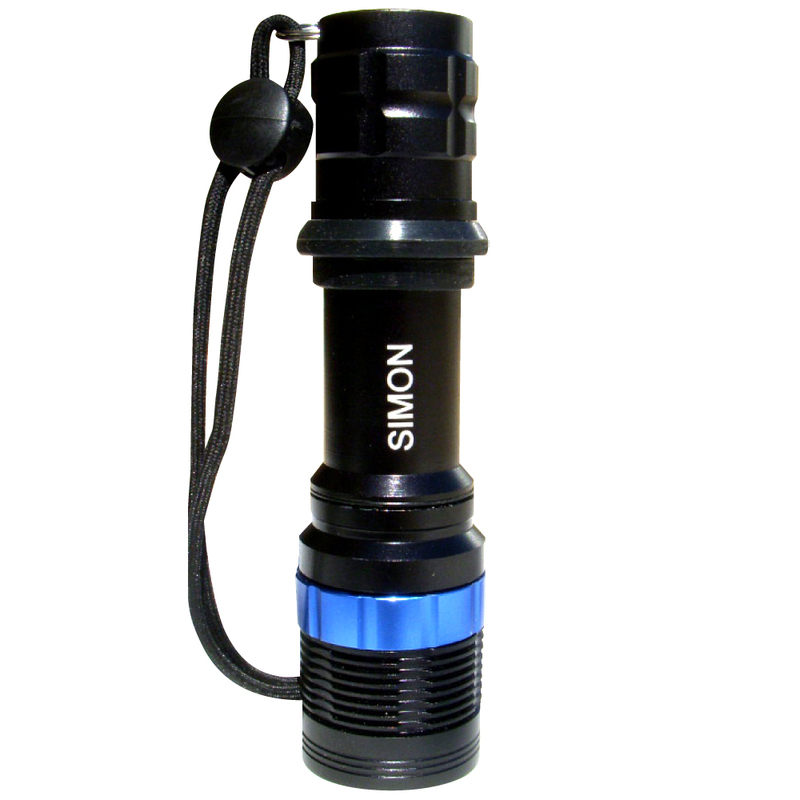 and stands tall at 5.38 inches. 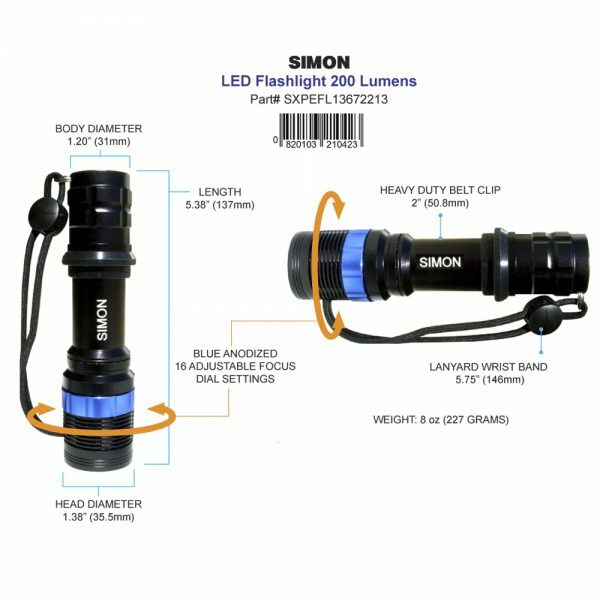 If you’re looking for a portable low maintenance reliable led flashlight that will last you a lifetime then this is the perfect beginner close proximity flashlight that you would want to start off with in the Simon Flashlights family. 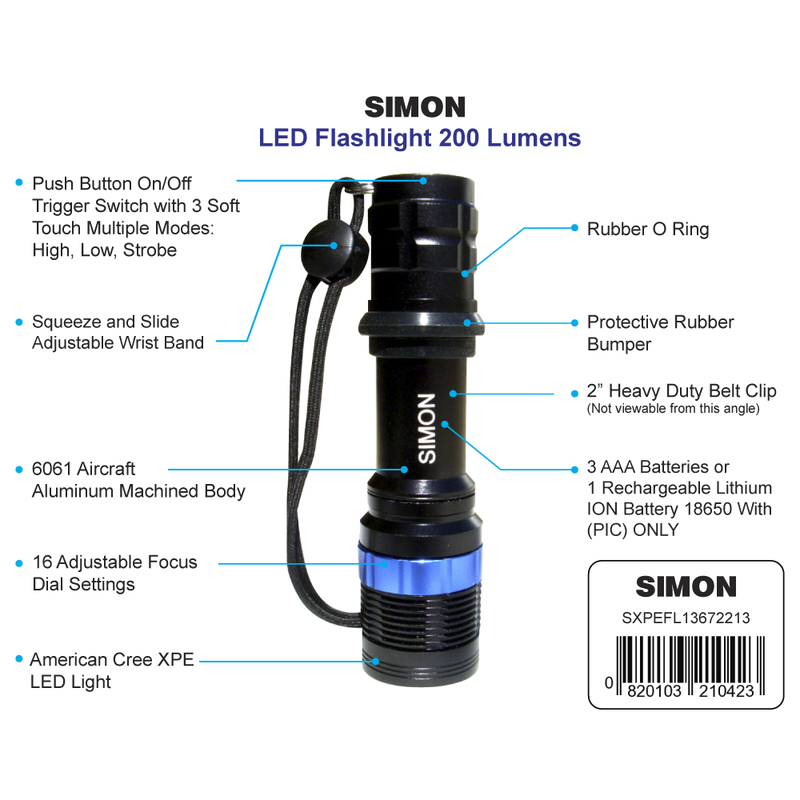 CLICK HERE to BUY your Simon Cree LED Flashlight XPE NOW! We recommend that you Never, Ever, Ever point the light into anyone eyes or directly look into the light itself.